1. Open Outlook 2016 in the Windows Start menu. 2. 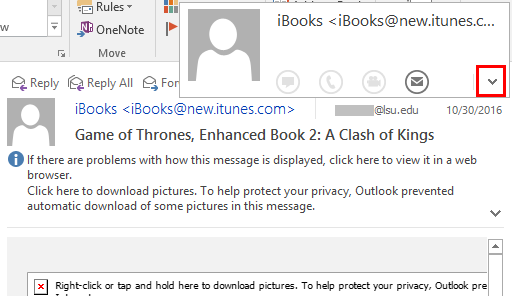 Open a message from the sender you want to add as a contact. 3. 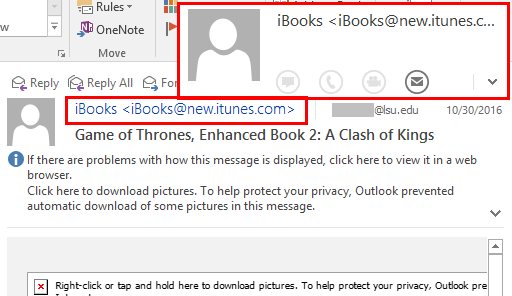 Hover over the email of the sender until a small box with more information appears above it. 4. At the bottom right-hand corner of the pop up box, click the down arrow. 5. From the screen that pops up, enter the name of your contact and any other information they may have, then click Save at the bottom right. 6. 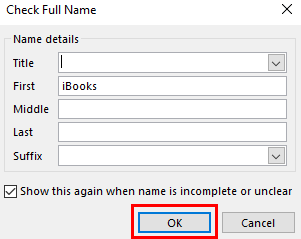 If a Check Full Name window pops up when you try to click Save, simply click OK at the bottom of this window. 7. Your contact has now been saved. 8. 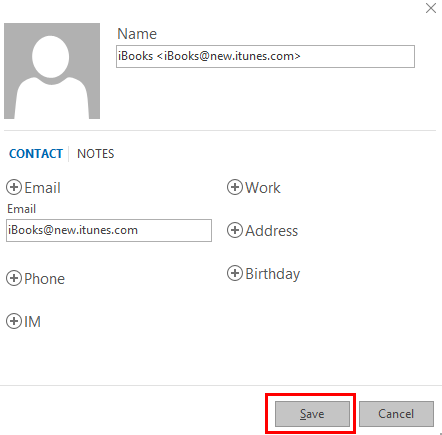 To edit a contact, click the Address Book button at the top right of the window. 9. Select the contact from the list in the center of the window that you want to edit, then right click and select Properties. 10. 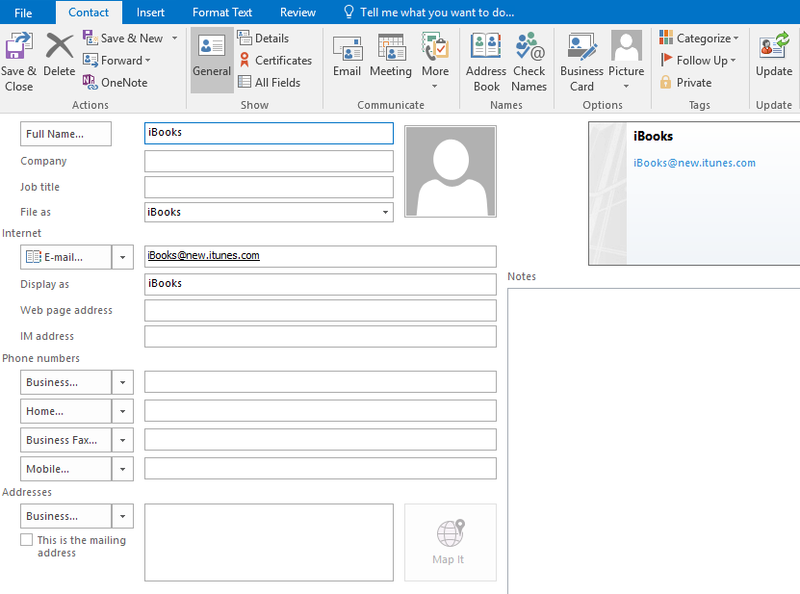 From the window that appears, you can edit all aspects of your contact, from their information, phone numbers, webpages and IM addresses to their picture, company name, and job title. All of this information is optional, but can be filled in as much as desired.